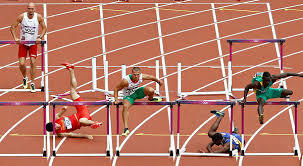 Litigation can be like a hurdle race. Sometimes a claimant can overcome nine of the ten hurdles, but fall at the last. Just one slip and the race is lost. In other cases every single obstacle proves to be insurmountable and successive paragraphs of the judgment begin "Even if I had found for the claimant on the last issue, his claim would have failed because ...."
So it was for the claimant in Razumas v Ministry of Justice  EWHC 215 (QB), a case decided by Mrs Justice Cockerill. Mr Razumas underwent an above-knee amputation following diagnosis of a soft tissue sarcoma. He suffered metastatic spread. Three years earlier he had first complained of symptom attributable to the sarcoma. He brought a clinical negligence action against the Ministry of Justice. Why the MOJ? The MOJ owed a direct duty to the claimant in relation to healthcare, but only a very limited one: it had a duty to try to prevent suicide, to provide a safe environment and to provide access to healthcare. It had not breached those duties in this particular case. The MOJ was not vicariously liable for the acts and omissions of the medical personnel acting on behalf of the PCT which was the healthcare provider. For two periods during the three years covered by the judgment, Mr Razumas was not in prison but, as found by the Judge, did not seek medical attention. The judge found that this failure by Mr Razumas was unreasonable conduct and sufficient to break the chain of causation. In this case the reasons for the claimant not seeking medical attention were striking - in effect he was on the run. It might however be tempting for defendants to use this judgment as a grounds for arguing intervening cause in other clinical negligence cases. In most cases the reasons for not seeking further medical advice, after previous negligent failures, is more subtle: the claimant has been reassured or does not want to continue bothering medical professionals with their anxieties when they have been led to believe that there is nothing fundamentally wrong with them. The Claimant founded his case, in part, on an assertion that he told prison staff, on returning to prison, that he had sought medical attention when out of prison and had been listed for surgery. The judge found that this was untrue and dishonest. 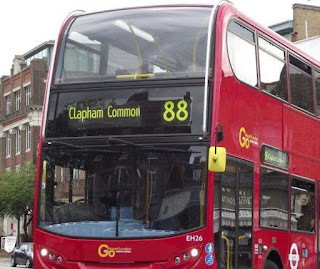 Applying section 57 of the Criminal Justice and Courts Act 2015 and the recent decision of Julian Knowles J in London Organising Committee of the Olympic and Paralympic Games v Haydn Sinfield  EWHC 51 (QB), the Judge found that if the claimant had otherwise established liability his claim would fail under s. 57. So "fundamental dishonesty" is not restricted to whiplash cases! Here the dishonesty related to one particular allegation in a series of allegedly negligent acts and omissions. There was a clear finding that the allegation had been based on a dishonest account, but that dishonesty had nothing to do with other allegations of negligence which might have resulted in liability being established against the defendant for substantial damages. Clinical negligence practitioners are therefore on notice that it will be dangerous to pursue additional allegations of negligence which might be found to be based on dishonesty and which might then jeopardise the validity of other, perfectly sound, causes of action. The Claimant contended that his treatment had been in contravention of article 3 of the European Convention on Human Rights. The Judge found that the claim under the HRA was out of time and that she would not extend the time limit and that, in any event, (i) the wrong defendant was sued for an article 3 claim and the claim did not meet the severity threshold. There are aspects of this claim, for example the intervening cause decision, which might be open to challenge on appeal, but given the sheer number of hurdles at which the claimant has fallen, it may be that there will be no further consideration of his claim.